Creatures Anathema is a bestiary of enemies for your characters to face. Each monster is fully detailed and described, including plot hooks that make it simple to place each challenge into an existing game, or to build a story around a particular creature. 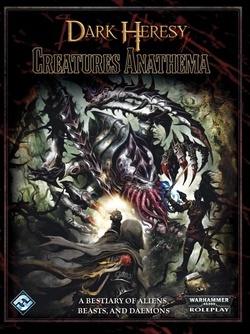 In addition, Creatures Anathema contains rules for new, exotic alien gear and some new player character options. 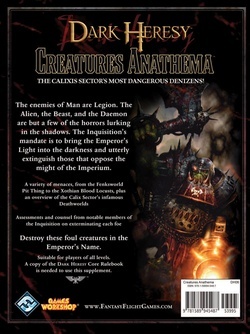 Creatures Anathema contains both monsters unique to the Calixis Sector as well as classic creatures from the Warhammer 40,000 universe. 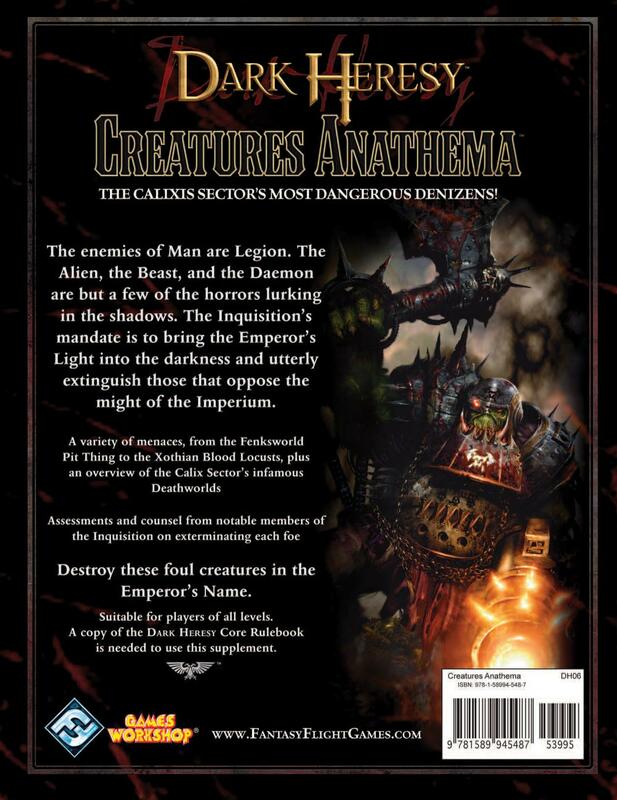 Presenting over 50 creatures for use in a Dark Heresy campaign, this 128-page, full-color hardcover tome is a handsome addition to any RPG bookshelf.